The Small Pop Up Gallery Presents Jesse Whittle. 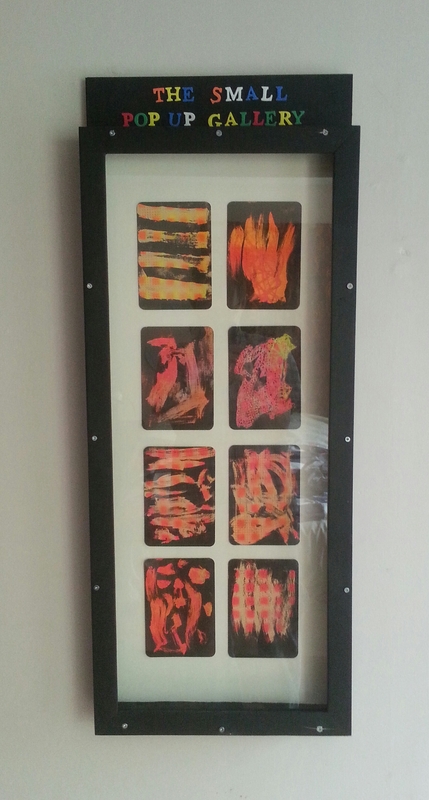 The Small Pop Up Gallery is proud to present the work of Tulsa Oklahoma artist Jesse Whittle. The Small Pop Up Gallery featuring Jesse Whittle’s work can be viewed at the offices of the PEI Council of the Arts at 115 Richmond Street, Charlottetown, Prince Edward Island, Canada. JESSE WHITTLE is a Tulsa resident. He received his B.A. from St. Gregory’s University in Studio Art. He has won several awards, including a purchase award at the Young New Collectable Artist show at the JRB art at the Elms gallery. Previously Jesse has taught art at Gilcrease Museum, Philbrook Museum of Art as well as 6 th , 7 th and 8 th grade at Mannford Middle School. Jesse has exhibited at a number of group and individual shows around the state, particularly in Tulsa and Oklahoma City. ARTIST STATEMENT My art practice is drawing and painting. In my work I create compositions that emphasize interrupted and implied forms. These forms are the result of editing. With each layer of paint I overlap or conceal, the painted surface is built up into uneven fragments. What’s left behind constitutes anxiety, apprehension and shame. I utilize multiple mediums including acrylic, watercolor, Chinese ink and spray paint. Recently, I have become interested in creating tension between approach and meaning. I aim to scrutinize my own sincerity, happiness and self-esteem in order to establish and distort my system of creation. The contradictions in my work reinforce issues of trust and self-loathing. 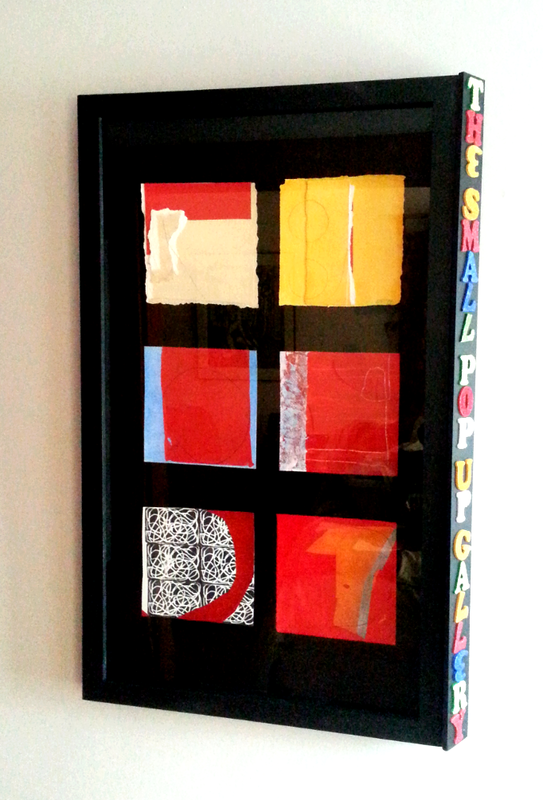 The Small Pop Up Gallery Presents David T Miller! “The grid display is another accidental, but characteristic I’ve observed. That is how I arrange things that I am working on and that is how things are displayed on the gallery page of my website. In 2012 I participated in the All Together Now collaboration exhibit in Bushwick organized and curated by Julie Torres. I spread my work out on the floor of the gallery in the same grid relationship I had originally organized at home. Julie didn’t edit or change a thing. She wanted the same grid on the wall. At the time I wasn’t cognizant of what was going on in my own practice. Julie inadvertently helped me learn something about myself. 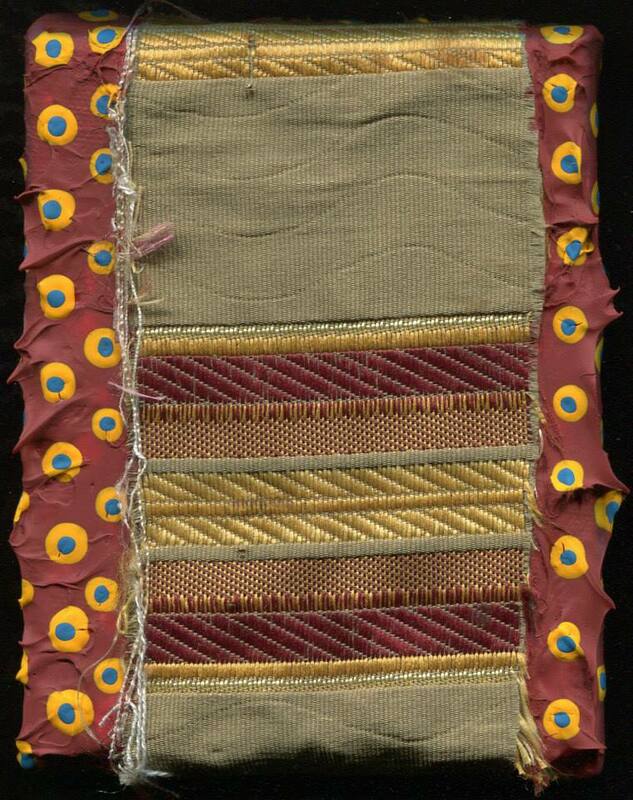 Other material relating to David T Miller. The Small Pop Up Gallery Presents. Diane Englander! 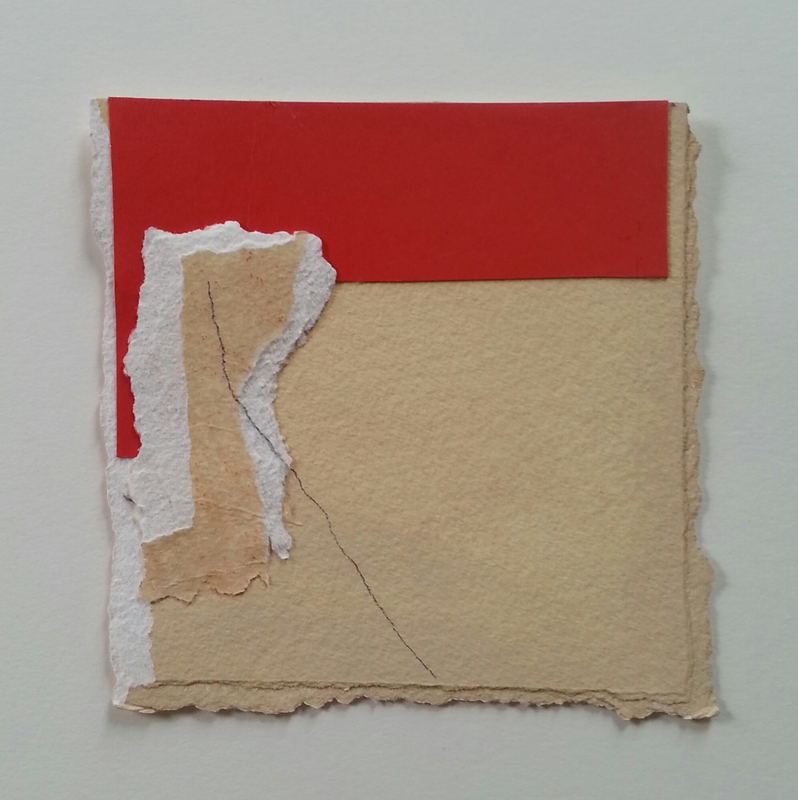 The Small Pop Up Gallery is proud to present the work of New York artist Diane Englander! 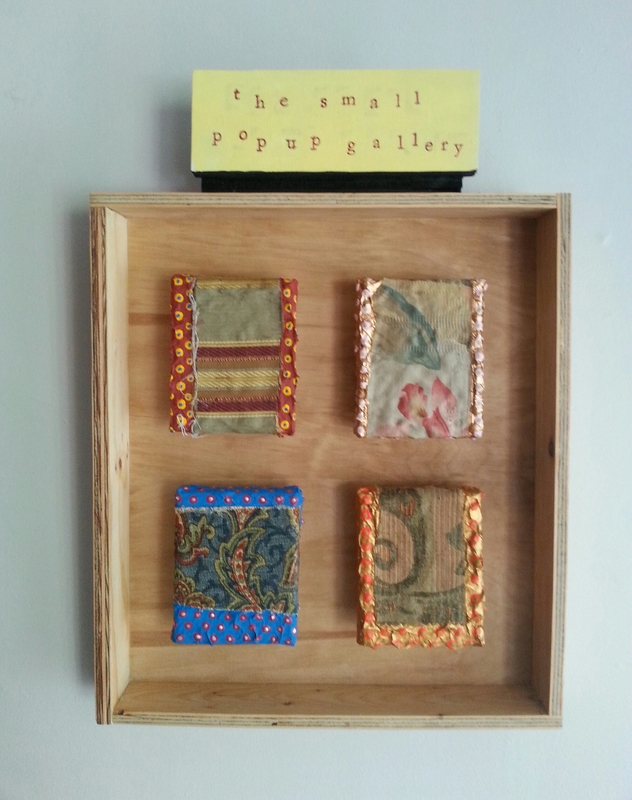 The Small Pop Up Gallery featuring Diane’s work can be found at Beanz Espresso Bar at 38 University Ave, Charlottetown, P.E.I . Diane Englander. Red on Buff. Mixed media on paper. 6×6 inches. Diane Englander. Lines in Red. 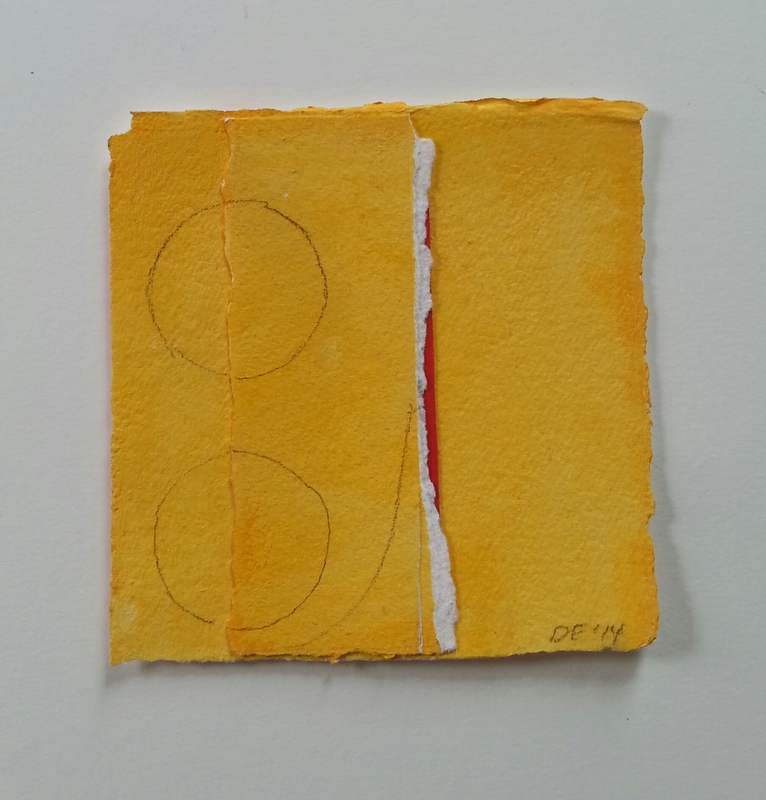 Mixed media on paper 6×6 inches. A native New Yorker who works in NYC and Southampton, NY, Diane Englander had an earlier career including 17 years as a management consultant to local nonprofits concerned with poverty or disenfranchisement; work in NYC government; and several years as a lawyer at a large NYC law firm. 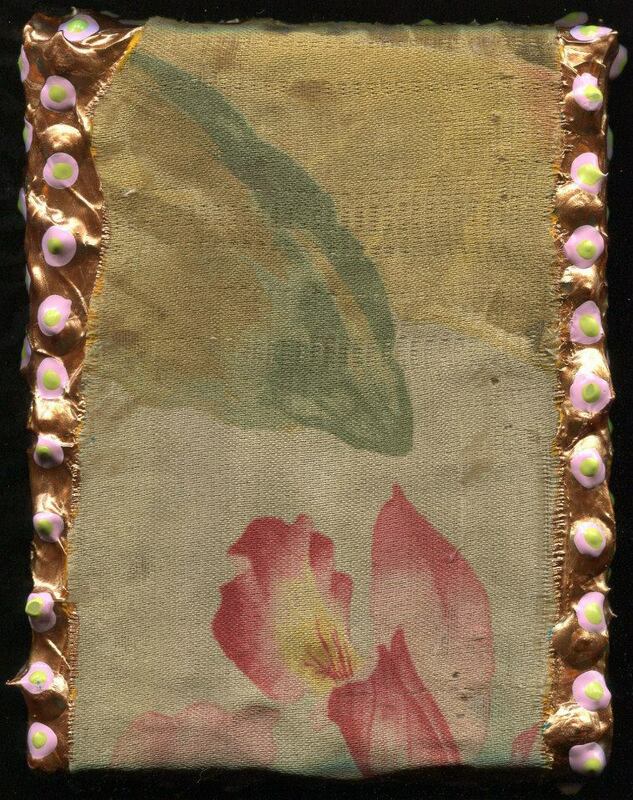 In late 2006 Diane began making collages that started her on her current path; in late 2007 she left her consulting job to focus on her artwork full-time. 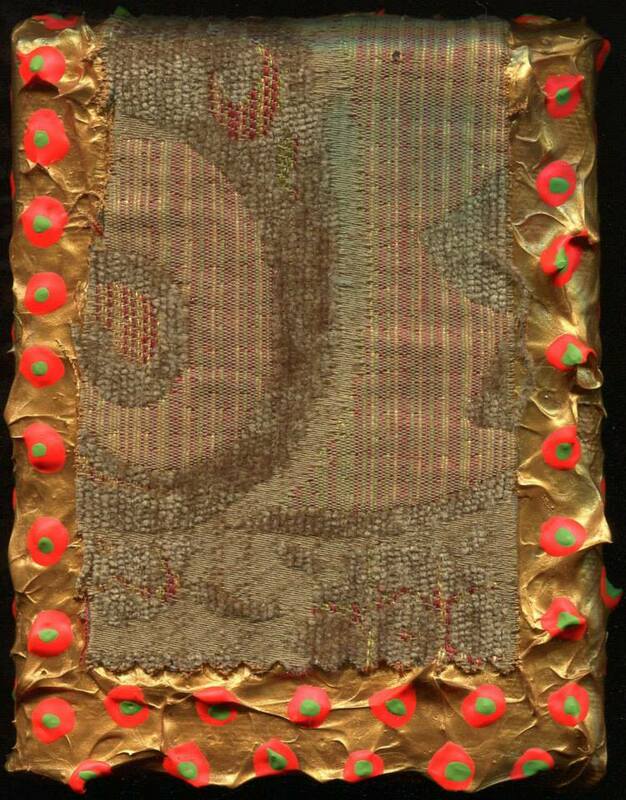 She has studied with Bruce Dorfman at the Art Students League in New York, and has had solo exhibits including those at the Hampden Gallery Incubator Project Space at U Mass Amherst in 2015, Cambridge Health Associates in Cambridge, MA in 2012, and at the Living Room Gallery at Saint Peter’s Church in Manhattan in 2010, as well as pieces in group exhibits in New York City and elsewhere in the United States. One of her drawings is included in The Visual Language of Drawing (McElhinney, J. ed., Sterling Publishing 2012). In 2013 she won the Allied Artists of America award at the Butler Institute of American Art. Diane Englander. Orange on Red With Line. 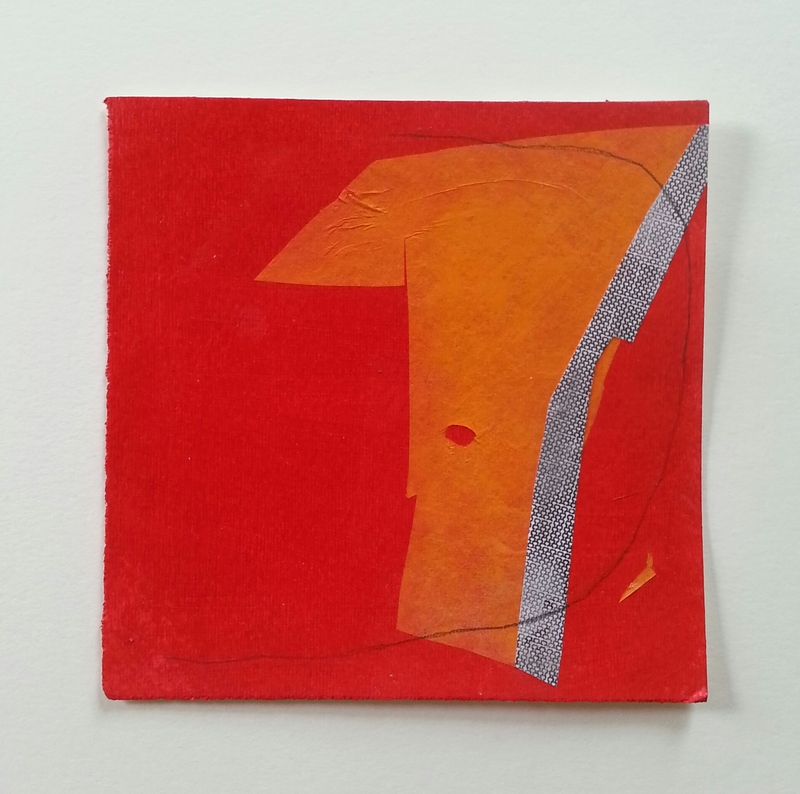 Mixed media on paper 6×6 inches. Diane Englander. Almost Circle on Red. Mixed media on paper. 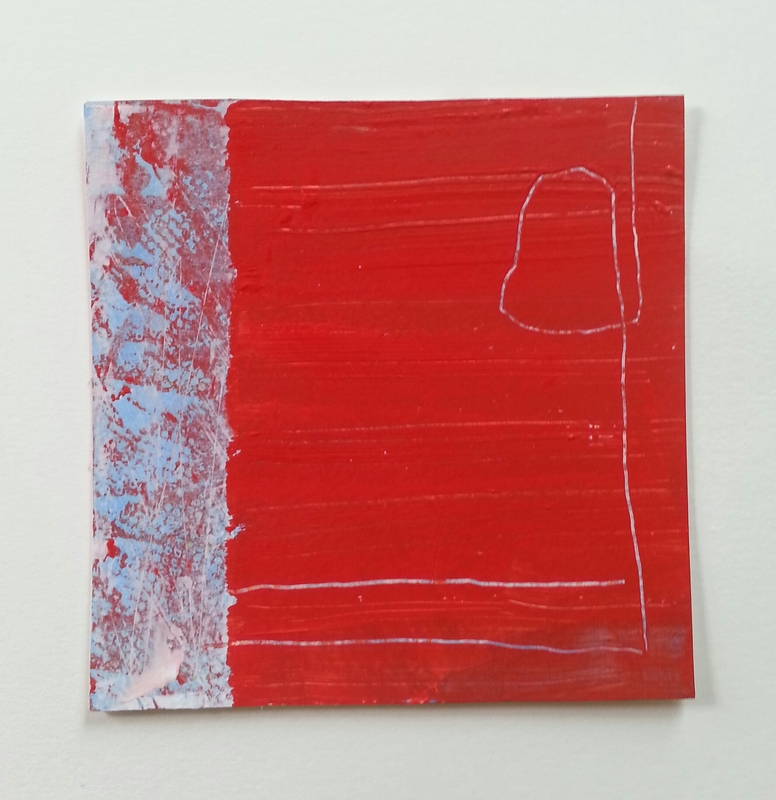 6×6 inches. Diane Englander. Orange With Circles. Mixed media on paper. 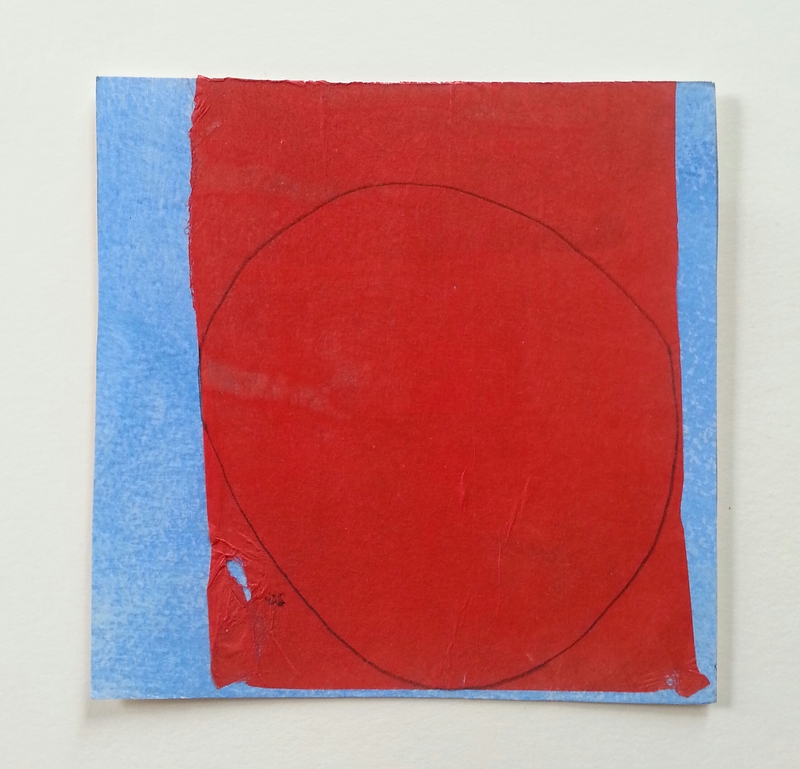 6×6 inches. Diane Englander. Untitled. Mixed media on paper. 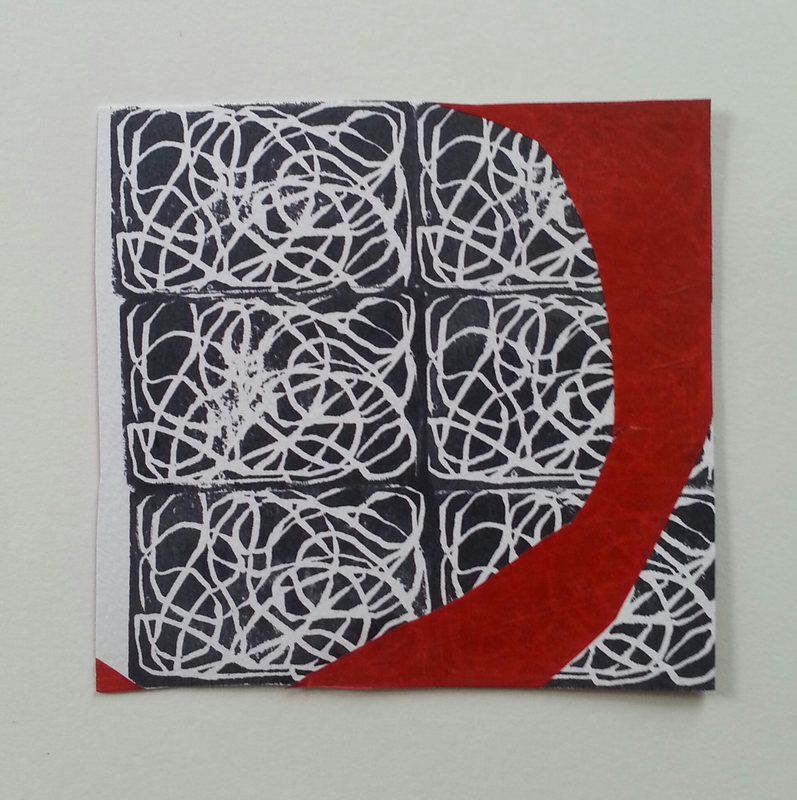 6×6 inches. 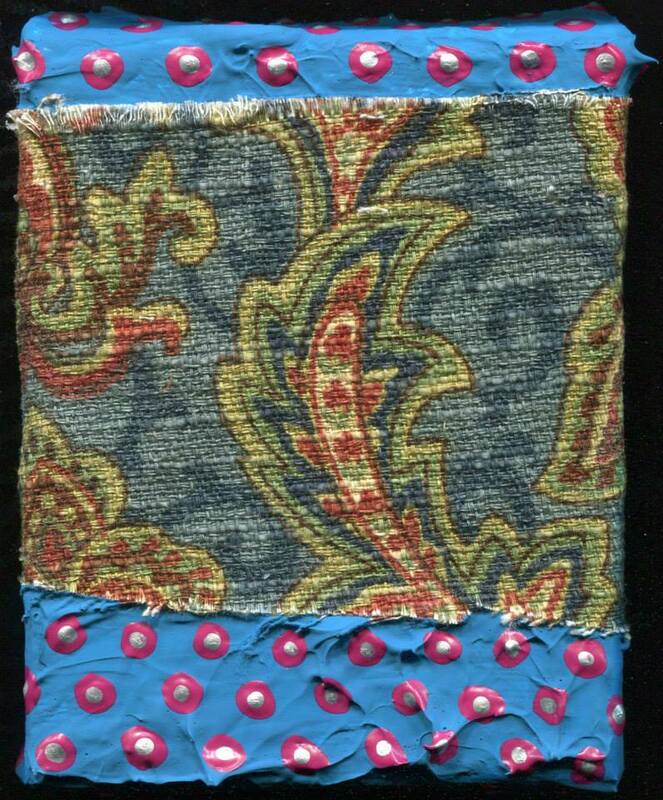 Other material relating to Diane Englander.